Big News! Some of my popular paintings are now available on Fine Art America as prints. Just click on your favorite painting and select from canvas prints, framed prints, etc. and choose your preferred size. 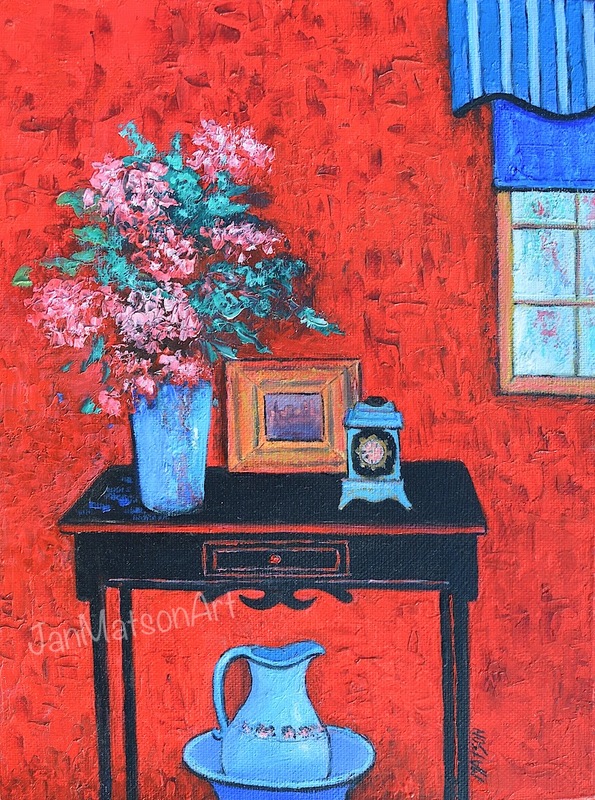 Oil painting on stretched canvas 12" x 9"
A bold impressionist painting in bright red, black and blue! Oil on stretched canvas measures 28" x 14" x 1 1/2" with the image continued on the side edges. This painting is complete and ready to hang with d rings and wire. A relaxing and peaceful view of the ocean - a perfect summer's day!